EXCESS CAPACITY AS PAYMENT INSTEAD OF CASH. Find Out How Our Cashless Currency Can Help Your Business Benefit Today. ﻿Using our private currency your business can reach new heights by trading excess capacity or distressed inventories for goods and services. Gain new customers while conserving cash. TBE is a community of businesses like you that buy and sell without spending cash by using a private currency called the TBE Dollar. Trade your excess capacity of goods and services in return for TBE dollars. Spend your TBE Dollars on amazing goods and services on our TBE Marketplace. See what our cashless currency can do for you. Visit Our On-Line Marketplace Now! 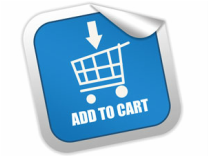 Products added weekly, click and buy! The TBE Marketplace is a revolutionary way to spend TBE$ dollars on-line in a safe and secure environment. All products sold are guaranteed for 30 days with a "no questions asked" full refund policy with the return of the item. The most convenient way to spend TBE dollars, this innovation has presented high quality goods and amazing prices. TBE members receive "daily deal" specials presenting high demand products traditionally not available on trade at prices even daily deal companies can't compete with. Daily deal sites target consumer to consumer this is a business to business version with a twist, our private currency! We've been featured in the media as a legitimate alternative currency for small business. Move excess capacity without compromising your profitability. The media industry has turned itself on its heels with new emerging and very powerful advertising alternatives. Traditional media have had to adapt quickly or die. Contra has become a way to retain client loyalty while ad budgets tighten up. Find out how we can easily, seamlessly and quickly convert your contra deals to cash! Easily convert your contra to cash with our new conversion program. ​Convert your under performing or expiring contra to cash. Is TBE Right For You? If your company could use new customers and you have excess capacity, barter may be for you. Fill those empty tables in your restaurant with new customers, move that old inventory or sell more of your service time. Whatever you specialize in, we can help you. As long as your business qualifies we will help you gain new customers and conserve your cash flow. Find out how easy it is to join and start trading today!